Follow the steps below to work torwards completing your application. 1. Download the Merchant Application. Please download, print, complete and scan it. We will send this to you in email as well, be sure to check your spam filter if you don’t see an email. When we receive your completed merchant application, one of our sales representatives will contact you within 1-2 working days to continue with the approval process. Note: Due to high volume of applicants we will only review and respond to fully completed applications. 3. Gather additional business documents. You will be asked to provide additional documents depending on your business. To speed the process, you can begin gathering the documents listed below in case they are required. 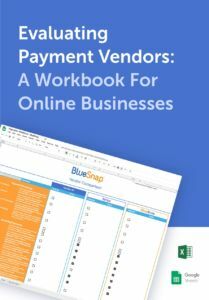 As soon as we have approved and opened your account, you will receive an email from us with a Step-by-Step guide on how to configure both your Bluesnap and your Magento accounts.